On 12 January 2018, the four most senior judges of the Supreme Court of India (Supreme Court) after the Chief Justice of India (Chief Justice), held an unprecedented press conference in New Delhi. Here, they presented a letter listing a set of grievances regarding the conduct of the Chief Justice to members of the media. The four judges went to great lengths to establish that they had sought to resolve the matter internally by first presenting the grievances to the Chief Justice. It was only after the Chief Justice had failed to offer a satisfactory resolution to issues referred to in the letter that the four judges had chosen to present them before the public. The kinds of concerns about the functioning of the judiciary raised at the press conference on 12 January expose certain systemic issues which strike at the heart of its claim to uphold the rule of law. In this blog post, I first address the propriety of the actions of the four judges in light of cross-jurisdictional practice on judicial conduct. I then discuss the nature and implications of these grievances in reference to modern constitutional theory. I conclude by suggesting that while the long-term credibility and legitimacy of the Court is at stake, the four judges’ concerns must be taken seriously. There are no binding legal limitations on members of the judiciary holding a press conference in Indian law. However, certain prudential guidelines, adopted by the Supreme Court in 1997, are expected to inform judicial conduct. These guidelines indicate that a judge “shall not enter into a public debate or express his views in public on political matters or on matters that are pending or are likely to arise for judicial determination”. Further, the guidelines also state that judges are expected to let their judgement speak for themselves, and not grant interviews to the media. Since these guidelines are broadly worded and intended to be prudential, it becomes clear that they are somewhat unhelpful in considering the validity of the press conference, since the events which transpired on 12 January do not fit squarely into the instances contemplated by the guidelines. A 2013 Guide to Judicial Conduct issued by the Judges Council of England and Wales noted that “many aspects of the administration of justice and of the functioning of the judiciary are the subject of necessary and legitimate public consideration and debate…and judicial contribution…can be desirable.” Accordingly, such contributions by members of the judiciary could contribute to “public understanding of the administration of justice and to public confidence in the judiciary”. Neither the Bangalore Principles of Judicial Conduct, 2003 (Bangalore Principles), nor the Madrid Principles on the Relationship Between the Media and Judicial Independence, 1994 (Madrid Principles) directly address the issue of judges speaking with the media on structural issues regarding the judiciary. The provisions of both these international soft law documents stress the appearance of impartiality and independence, as well as the need to avoid influencing the outcome of a dispute through public comments. The Madrid Principles, however, provide that judges “shall not be forbidden to answer questions from the Press relating to the administration of justice”, while the Bangalore Principles stress the importance of a judge taking advantage of “appropriate opportunities to help the public understand the fundamental importance of judicial independence.” Thus, a response to the propriety of the four judges’ actions will likely turn on one’s conception of the role of the judge in a democratic society. Some have argued that the four judges were referring to petitions filed at the Supreme Court by a citizens’ advocacy group demanding independent investigations into specific allegations of corruption against members of the higher judiciary, including the Chief Justice. The petition was subsequently dismissed, with exemplary costs being imposed on the petitioners, drawing criticism from some quarters. Commentators have also alluded to the handling of series of petitions filed both in the Supreme Court and lower courts seeking a judicial probe into the death of a judge of a special criminal court in 2014. The judge had been hearing a case where one of the prime accused was the current president of the Bharatiya Janata Party, which is currently in power at the central level. The Chief Justice had allocated both of these potentially sensitive cases to benches which did not include the four most senior judges after himself which, according to the letter, marked a departure from existing convention on bench composition. The Supreme Court, which has been described as among the most powerful constitutional courts in the world, is a court with a sanctioned strength of 31 judges. The Court does not convene en banc, but is divided into a number of smaller benches, the composition of which varies from anywhere between one and thirteen judges. The Chief Justice, usually the senior-most judge in the Supreme Court, also known as the master of the roster, is solely responsible for overseeing the administrative (in contrast with the judicial) functions of the Court. This includes decisions on the order in which cases are heard, the composition and strength of benches, as well as the assignment of cases to such benches. The gravity of this power entrusted to the Chief Justice includes three dimensions: subject matter, bench strength and composition, and the priority of cases to be heard. On 5 March, in response to the concerns flagged by the four judges, the Supreme Court released a judge-wise roster which would presumably govern the future assignment of cases to various judges based on subject matter. However, the Supreme Court roster continues to be much less detailed than the ones currently in place in certain subordinate courts like the High Courts of Bombay and Delhi. It also did little to placate concerns regarding the basis for allocation of cases to different benches, as well as their order of hearing. On April 11, the Court also dismissed a petition seeking the framing of rules to regulate the manner and procedure for constitution of Benches in the Supreme Court and the High Courts, which appeared to indicate its resistance to exogenous nudges aimed at its internal institutional reform. The second concern raised in the letter was Chief Justice’s unwillingness to secure the judiciary’s interests by engaging with governmental inaction in judicial appointments. The power to appoint and transfer judges within the higher judiciary has been an arena for fierce legal contestation between the judiciary and the executive in India. A legislative attempt to introduce executive preponderance in the process of appointment was declared unconstitutional by the Supreme Court of India in 2015 – on the ground that it would impinge upon judicial independence. However, the judgment kept intact the consultative nature of the process by continuing to require the judicial body responsible for appointments (comprising the four most senior judges of the Supreme Court) to seek the non-binding opinion of the government. In the wake of the judgment, the Supreme Court – perhaps motivated by the meagre guidance provided by the constitutional text – sought to codify the appointment process in consultation with the executive government. This memorandum would include principles of transparency, eligibility criteria for the judges, the establishment of a secretariat under the Chief Justice, as well as an internal redressal mechanism to deal with allegations against candidates recommended for higher judicial appointment. The government, till date, has been unable or unwilling to finalize this memorandum, despite the current draft having been cleared by the Supreme Court. In 2017, a judicial attempt to require the government to furnish an explanation for its conduct was withdrawn by another bench of the Supreme Court with the Chief Justice on it. The only explanation provided for this was that the finalizing of the memorandum governing appointments comprised a part of the Chief Justice’s administrative duties, upon which he had the sole prerogative. The government’s intransigence on finalizing the memorandum of procedure impacts the institutional capacity of the higher judiciary. The Indian judicial system is characterized as having a massive sizeable backlog of cases, with a number of factors contributing to this problem. The last available data from early 2017 had showed that the High Courts, which serve as the highest appellate courts in each state in India, had 445 vacancies, and were functioning at merely 60 percent of their sanctioned strength. In addition, it has been reported that there are currently 144 pending judicial appointment recommendations which are yet to be processed by the government. The actions of the Chief Justice appeared to condone the conduct of the government and may erode the functional independence of the judiciary in India. Studies have indicated that the Supreme Court is among the most trusted of Indian public institutions. It has also been argued that the Court exerts considerable power and influence over coordinate branches of government. A central normative ground which has served to legitimate such an expansion of judicial power is the rule of law. It is additionally clear that the doctrinal principle that contributes to the rule of law and supports the Court’s claims to legitimacy is a minimization of discretion in the exercise of both its administrative and judicial functions, as well as its relative independence from the coordinate branches of government. The concerns about the functioning of the judiciary raised at the press conference expose both systemic issues and proximate causes. These have the capacity to affect its claim to uphold the rule of law while also impacting its independence. The Preamble to the Bangalore Principles reiterates that “public confidence in the judicial system and in the moral authority and integrity of the judiciary is of the utmost importance in a modern democratic society”. Moved by such concerns, the Speaker of the Upper House of the Indian Parliament on 23 April rejected an impeachment motion against the Chief Justice for judicial misbehavior of the kind alluded to by the four judges. However, if the Court is concerned with maintaining its legitimacy and credibility with the broader public, it would do well to consider a way forward that engages with the four judges’ concerns seriously. 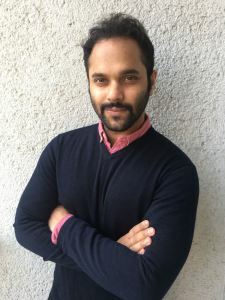 Gaurav Mukherjee is an S.J.D. candidate in Comparative Constitutional Law at the Central European University, Budapest. His doctoral project focuses on the role of the judiciary in facilitating inter-branch dialogue in the adjudication of socioeconomic rights disputes.